Did you ever notice that in almost every great war in history, France has been involved in some way? Here’s an example: Did you ever notice that in almost every great war in history France has been involved in some way? Here’s an example: the civil war in France between Catholics and Protestants which mirrored wars in much of the rest of Europe. 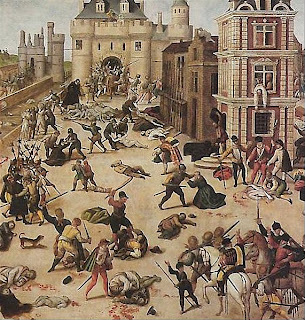 Pictured is the Saint Bartholomew's Day Massacre, 1572.